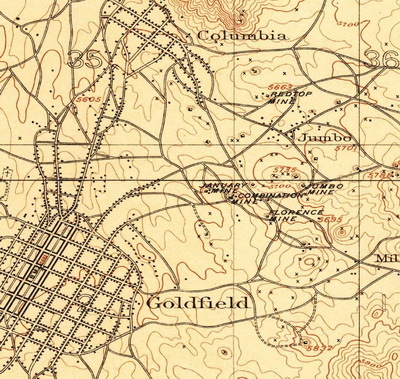 And was able to spend a couple of days at my favorite ghost town. I have had an Equinox 800 since June and was finally able to acquire a 6" coil for it a couple of weeks ago. 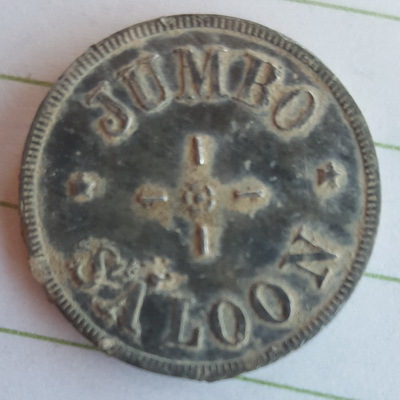 I can see that it has potential and my efforts were rewarded with this maverick Jumbo Saloon token. 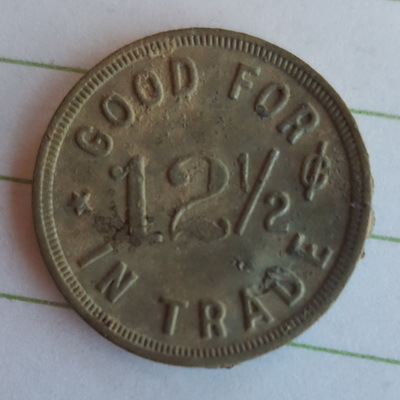 I have found 2 other tokens at this ghost town, both from Goldfield NV. 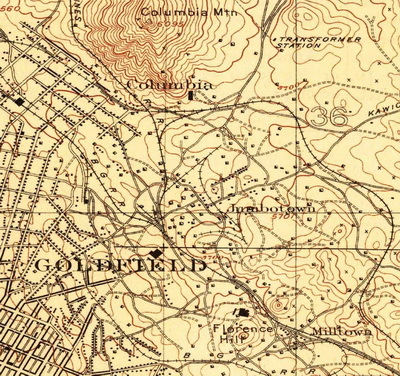 Looking at the topo maps from 1906 and 1909, there was a Jumbo or Jumbotown located near the Florence Mine outside of Goldfield. Equinox 800, 6" coil, Park 1, factory settings.